What Is Smart911? How Can It Help the Deaf and Hard of Hearing? Lipreading Mom confesses: I would rather have my teeth pulled than attempt to phone a 9-1-1 operator. With my progressive hearing loss, it’s difficult to understand every word spoken to me by phone even with an amplified telephone service or with some type of captioning in place. Imagine struggling on the phone in a crisis situation, in which hearing a 9-1-1 operator is absolutely essential. In my continuation of blog posts spotlighting Deaf Awareness Week, I am curious about services that can benefit those of us who can’t hear. 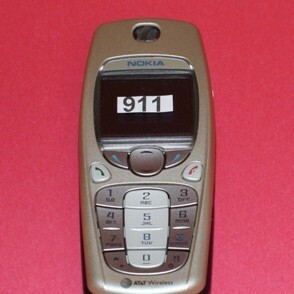 When I learned about Smart911, I was intrigued. And skeptical. What service could possibly be smart enough to help my ears understand every word spoken during a 9-1-1 call? I took my questions to Todd Piett, chief product office with Rave Mobile Safety, which created Smart911. Here is our email interview, conducted this week. 1) Lipreading Mom: How is Smart911 different from the traditional 911 service? Todd Piett: Smart911 is an enhancement to the existing 9-1-1 services. The traditional 9-1-1 system is based on forty-year-old infrastructure that has not kept pace with consumer technology. For instance, if a person dials 9-1-1 from a mobile phone and can’t speak, an emergency call-taker would only see a phone number and limited location information rather than an exact address. More than 70 percent of 9-1-1 calls come from mobile devices. WithSmart911, users can associate their mobile phones with home or work addresses, overcoming this obstacle. But that’s only the start of what Smart911 can do. With Smart911, citizens create a Safety Profile online that is automatically displayed to 9-1-1, only during emergency calls and in communities with the service. This profile can include home addresses associated with mobile phone numbers, details about specific medical conditions and disabilities, a list and photos of family members, floor plans and other rescue-related data. This enables emergency responders to have an understanding of the scene before they arrive. EMTs know such things as existing medical conditions, allergies and disabilities, allowing for an easier assessment once on scene. Fire crews know not only how many residents are at a home, but locations of bedrooms, residents with special needs and even if there are pets on-premise. Police have instant access to a child’s personal information and a photograph to expedite a search when a child goes missing. For the deaf and hard of hearing, Smart911 offers a vital feature. Currently, when a citizen who is deaf or hard of hearing needs to contact 9-1-1, they would use methods such as a relay service or TTY, which takes time and can delay emergency response. With Smart911, these citizens can dial 9-1-1 directly and dispatchers are immediately notified they are being contacted by a citizen with a hearing disability who is unable to communicate. Emergency responders are relayed information from the Safety Profile before arriving on scene and can be prepared to communicate with the caller. Also, at many public safety answering points that have deployed Smart911, a feature is available that then allows 9-1-1 call takers to initiate a SMS text session directly with the caller. 2) How long has this service been available? What is the story behind its creation? Smart911 is a national safety database and is the result of a public/private partnership endorsed by leading public safety and health officials throughout the U.S., as well as advocacy groups. In just over two years, it has grown rapidly and now helps emergency responders across 23 states protect millions. Smart911 was created by Rave Mobile Safety, the market leading software partner for campus safety. It was through work with higher education customers that Rave Mobile Safety was able to expand upon its technology and serve public safety needs with Smart911. 3) What are some things users have shared with you about their experiences using Smart911? Across the country, Smart911’s ability to provide important data to emergency responders is helping reduce tragic outcomes. A particular instance highlighting the value of the service occurred in Nashville, TN, within a month of Smart911 being activated. At that time, a child’s Spanish-speaking Nanny called 9-1-1 from a landline and said “Help Me! Help Me!” and hung up. Fortunately, the child’s mother had registered with Smart911, noting that the child at the residence had a rare breathing disorder and listing specific pre-arrival instructions in the event of an emergency. These details were immediately displayed to the 9-1-1 call taker who not only sent local police, but also dispatched EMS with the pre-arrival instructions. The Smart911 Safety Profile is credited with helping save the child’s life. 4) Where can people go for more information about Smart911? Smart911 is widely supported by advocacy groups ranging from Autism Speaks to the Epilepsy Foundation to the American Lung Association, and including those representing deaf and hard of hearing communities such as the Arkansas Association for the Deaf and Tennessee-based Bridges. Smart911 has received many honors. However, a recent one highlights the value it offers to families. Just weeks ago, Smart911 was awarded the Parent Tested Parent Approved (PTPA™) Winner’s Seal of Approval. PTPA Media™ operates North America’s largest volunteer parent testing community and was rated the Most Trusted Seal by 22,000 parents. PTPA winners are chosen based on merit and consumer experience – not on commercial considerations. As a result, the PTPA Media Seal has quickly gained recognition as an international leader in certifying consumer products for quality, effectiveness and value. So there you have it. While my questions have been answered, I am curious if any Lipreading Mom followers have used this service before. What have your experiences been? Feel free to comment below. I have to jump in and say that when you sign up for Vonage one of the cool features is Smart 9-1-1. 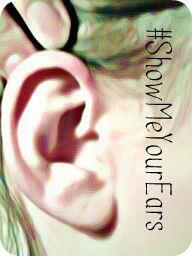 I have two young kids and I am deaf in the family so having Smart 9-1-1 keeps my mind at peace. Way to go, Jeffrey…and Vonage! Eve – That must have been frightening. Bless your heart. Thanks for the feedback Jeffrey! However, the service offered with Vonage is not Smart911,but their own program. 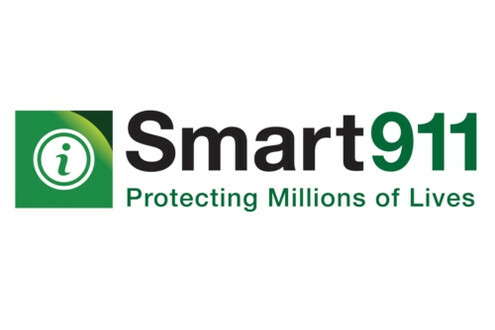 We still encourage you to create a free Safety Profile at http://www.smart911.com as well.